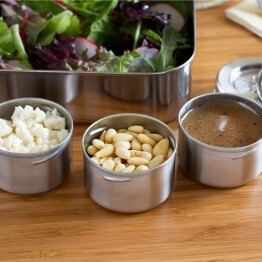 The popularity of the stainless steel lunch box is growing enourmously. 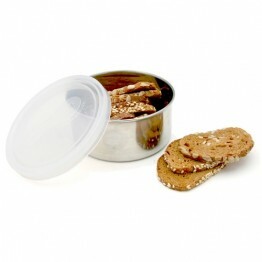 They are sturdy, eco-friendly and can be recycled and made in to something else at the end of their life. 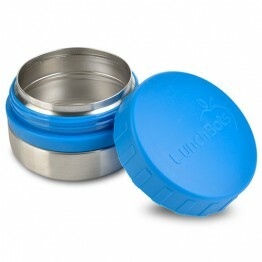 The one feature that is missing from most is a leakproof compartment for storing running snacks, dips and desserts. 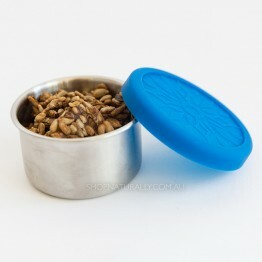 Integrating this in to a lunch box made from stainless steel is a design nightmare. Many have tried. This is easily fixed with the addition of a leakproof snack pot. 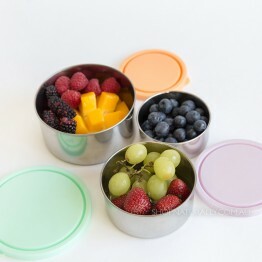 Available in a variety of sizes, depending on your needs, some of these will even fit comfortably inside your lunch box. Others need to be carried in your insulated lunch bag along with your lunch box, food wrap, ice pack, fruit and anything else packed in there. SMALLEST SNACK POTS - Our Ever Eco Mini Containers are 60ml in capaciaty and have a stainless steel bottom and a silicone lid. 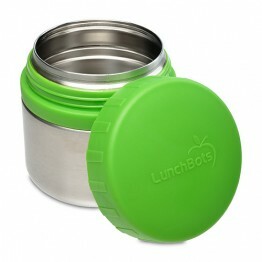 They're leakproof and are fine placed snugly in to your bag or inside a lunch box. If they get to roll around a loose bag, there is a chance the lid may pop off as it doesn't screw down, it just pushes in to place. 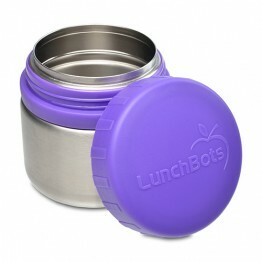 From Lunchbots, the Dips are also a trio set and have a stainless base and lid with a short crew on thread and silicone seal. 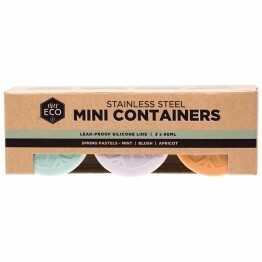 Slightly larger in the same style as the Ever Eco MIni is the Sili-Steel Snack Pot from Green Essentials. At 90ml, it can be bought solo. 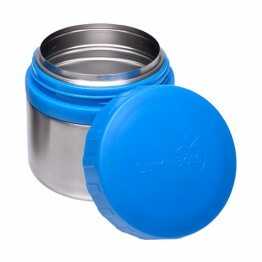 LARGER SNACK POTS - The Lunchbtos Round series and the nesting trio from Ever Eco are larger containers and don't fit inside lunchboxes but will easily pack into your lunch bag with the rest of your goodies for lunch time. 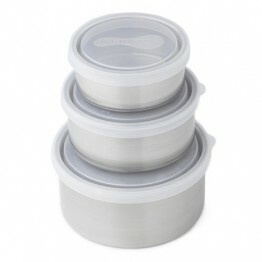 A nesting 3 pack of stainless steel containers with leak-resistant bpa free lids. 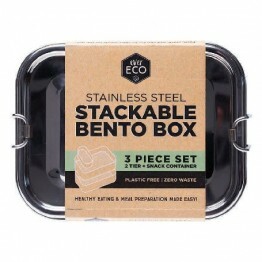 A 2 tier stackable stainless steel bento box with removable snack pot inside.